The EGU General Assembly 2017 will be held in Vienna | Austria | 23-28 April 2017. 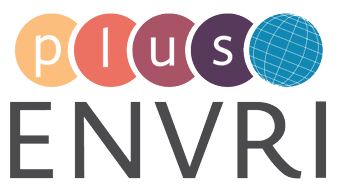 15 Research Infrastructures collaborating in ENVRIplus, have decided to join their forces and organize a joint booth for entire Environmental Research Infrastructure (ENVRI) Community. EGU is one of the most important events for all the Environmental Research Infrastructures in Europe . The conference brings together around 14000 scientists from 109 countries. However, only a fraction of them is aware of the existence of RIs, their mission and the benefits they can offer to every single scientist. The ENVRIplus Research Infrastructures have therefore decided to join their forces in promoting the environmental RIs, organizing a joint booth together, to get visibility, share the costs as well as to demonstrate the strong collaboration among them. You will find the joint ENVRI community booth at the exhibition stand number 2 and 3 (right next to the main entrance to EGU venue). TM11 – Global environmental observations under pressure – new responsibilities for Europe? EOS15 – Effective Project Management in Earth Sciences – What does That Mean?